Robert M. Horne joined Adelberg Rudow in 2005 focusing his practice in the areas of estates and trusts, and business transactions. Mr. Horne’s practice encompasses wills, trusts, estate planning, estate/trust administration, probate and estate/trust controversy; business succession planning; tax planning; and general business and corporate transactions. Mr. Horne was selected as a “Rising Star” by Maryland Super Lawyers in 2010 through 2017. Mr. Horne works with his clients to create and implement an estate and/or business succession plan designed to transfer assets to future generations in a tax efficient manner. He also counsels Personal Representatives and Trustees throughout the estate and/or trust administration process, helping them to navigate through the probate process and avoid potential pitfalls. 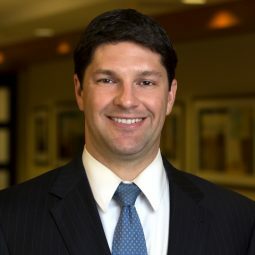 Mr. Horne assists the litigation group when an estate or trust becomes involved in a dispute, such as a Will contest, Petition to Remove Personal Representative, Petition to Remove Trustee, Petition to Interpret/Construe a Will or Trust, or Petition to Terminate a Trust. Mr. Horne represents professionals, entrepreneurs, and other small business owners in all aspects of their business – including formation, operation, growth, disputes, acquisitions, sale, and succession. Mr. Horne negotiates and drafts the necessary agreements to implement the professional practice/business’ needs including: Operating Agreements, Stockholders’ Agreements, Stock Option Agreements, Employment Agreements, Consulting Agreements, Distribution Agreements, Purchase/Sale Agreements, etc. Mr. Horne spends a substantial amount of time advising healthcare practices and individual practitioners (such as dentists, doctors and pharmacists) on practice management, succession and sale issues. Prior to joining the Firm, he served as the Judicial Law Clerk for the Orphans’ Court for Baltimore City. Mr. Horne received his J.D. from the University Of Maryland School Of Law and is admitted to the Bar in Maryland. He received his B. S., in Law & American Civilization from Towson University and served as the undergraduate advisor to his major assessment committee. Mr. Horne was born in Washington, D. C., raised in Severna Park, Maryland and currently lives in Lutherville, Maryland.